The more confidence you have, the more good things seem to happen to you which – in turn – develops even more confidence. 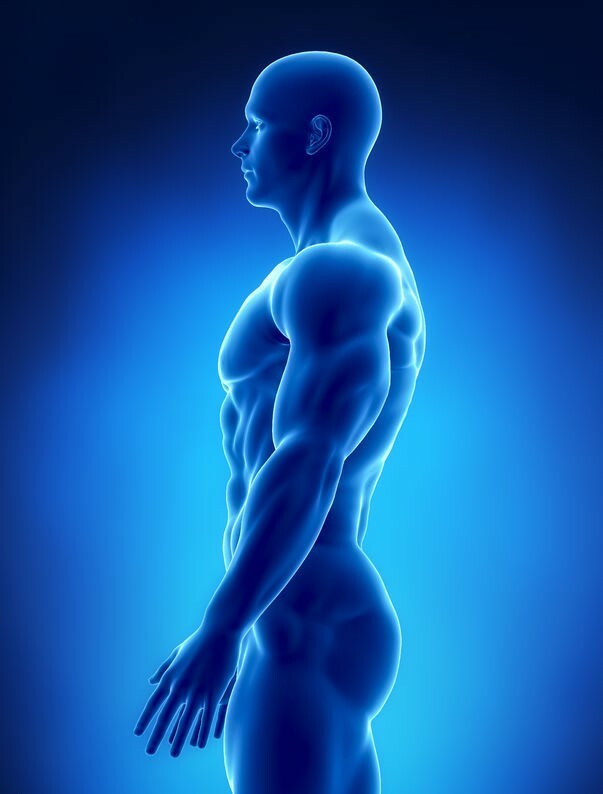 A man who possesses robust health has a particular presence that people respond to positively. There’s science to back that up. Despite what people might say about their own values and priorities, research has confirmed that people visually register others’ health, status, and confidence – and judge them accordingly. A 2011 research study by Harvard Medical School revealed that people assess others’ competence and trustworthiness in a singular moment, based solely on appearances. Much of this assessing of confidence occurs below the level of conscious thought. In other words, people make these assessments without realizing that they do it, and without realizing that others do it, too. New York’s Center for Talent Innovation also established through research that each of us is instantly evaluated by others – on grooming, posture, confidence and healthy appearance – whenever we go anywhere. Since people register your posture instantly and unconsciously, it might be worth it for you to upgrade your sitting desk into something more ergonomic. It’s fairly easy to turn your existing desk into a standing desk, or you can get simply get a new standing desk that fits your body perfectly. Ten years ago, ergonomic standing desks were expensive, but today, a good sit-stand workstation can be quite affordable. One of the benefits of adopting improved lifestyle habits is that it inspires other people to notice your strengths while simultaneously motivating them to cultivate their own. They have tea, daily – because of its longevity effects. They sculpt their bodies with lean muscle. They have an actual grooming regimen. Develop these habits yourself and see if they raise your own confidence levels. It could make an immediate and positive difference in your own life. Keep in mind that it’s not always what you’re born with that counts most. It’s what you do with what you have. 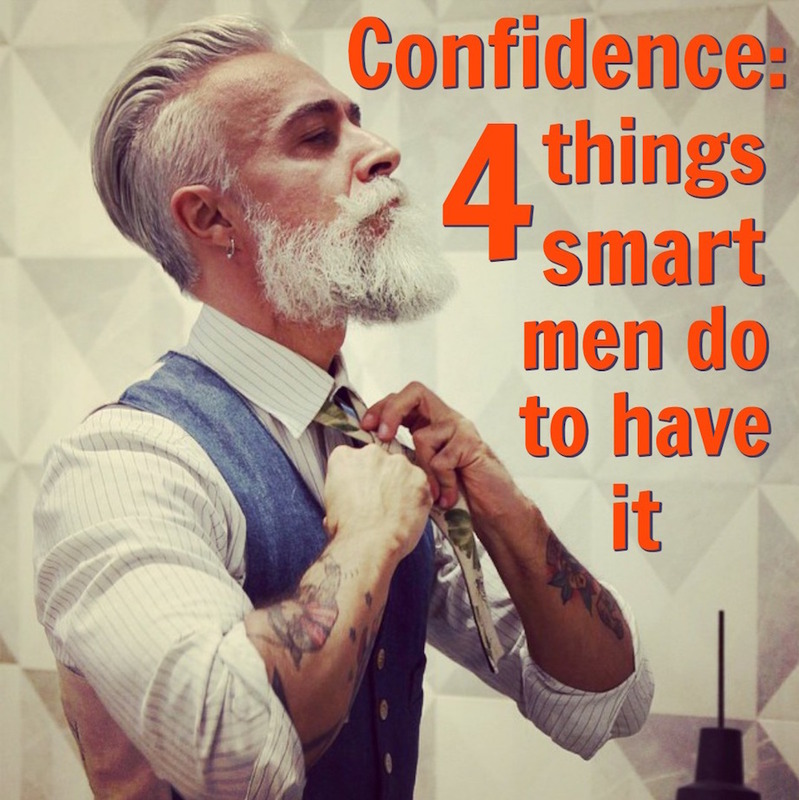 Excellent grooming has can have an enormous impact on how other people perceive you. I’m Dane Findley and my message is simple: it’s only in your thriving that you have anything to offer anyone – therefore, the best investment you can ever make is in your own health. When you get my free updates you also get instant access to my bonus report on how to better manage your time, energy, and nutrition. Don’t sign up for my newsletter if you are someone who is not highly intrigued by human optimization and stellar health. Though the skin on a man’s face might look okay in the light of the bathroom mirror, get him outdoors or under office lighting – where the majority of other people will actually see him – and the skin reveals a different story. Bumpy skin is not a confident look on a man. For many men, their skin has been ravaged by years of poor shaving habits. Even men who wear beards still often have to shave the areas of their upper cheek and lower neck. The number one mistake that men make while shaving, is shaving in the up-direction along the neck. Shaving against the direction-that-hair-grows will get you a close shave, yes, but also destroy your skin over time. Yes, it looks über-cool when Clark Gable or Cary Grant shave-up in the old movies, but in real life, it’s not recommended. Here’s the thing: once a man develops a habit of shaving a certain way, it’s almost impossible to get him to improve his regimen – once the routine has been established into his muscle-memory, there it will likely remain forever. However, it’s in a man’s best interests to maintain good skin. If nothing else, it makes him look less tired at work, which gives him a competitive advantage and lends him a look of confidence. At some point in time, we all have had an ingrown. Ingrown hairs or razor bumps can sometimes go away on their own (hopefully) or can cause a slightly painful feeling in the affected area. The problem arises when the hair curls back into the skin, or the hair is trapped under the dead skin making it impossible for the hair to grow the way it should. It can be painful and cause an unsightly appearance in the form of raised skin, a scar, or a dark spot. Ingrown hairs are similar to pimples as they can become infected, cause an itchy sensation, and in men around the neck area create multiple bumps after shaving mainly around the neck (or if you man-scape, that area is also not immune to the problem). Although ingrown hairs can be a nuisance there are simple at-home solutions. Unless the hair follicle is completely removed by laser treatments or depilatory creams, the problem will show itself time and time again. Exfoliation keeps the skin clear of dead skin, remove oils, and sometimes lifts the hair out of the skin. Some of us have the time to do this 2-3 times a week but it should be done at least once a week, especially right before you shave. A simple mixture of 1 tbsp brewed green tea, 3 tbsp of sugar, 1 tbsp of honey, & lemon juice (or oil) can do the trick to create an exfoliating scrub. Green tea (more on this later) is high in antioxidants which is useful for scars and is also anti-aging. Exfoliation before shaving will help by lifting all hairs away from the skin making it an easier shave. If a home mixture is not your thing, try Burt’s Bees cranberry and pomegranate sugar scrub. The oil it leaves behind can also be used for shaving. (If you’re using an electric shaver use this after shaving – the oils will dull the blades and the hairs will be too soft to be removed). Wet a washcloth with hot water, wringing out excess water, and apply to area to be shaven (or better yet, cover face with a washcloth). This will soften ingrown hairs and bring it closer to the surface of the skin. With an electric razor, this should be done after shaving. I also like Ren Tamanu High Glide Shaving Oil, which is a pre-treatment (can be applied 10 minutes or more before actually shaving). It costs a bit more up front, but on the bright side, a container lasts a very long time as just a few of the concentrated drops are needed per shave. Shaving can make you look younger, and many men prefer a clean shave. Others like the look of facial hair. Men who keep facial hair at a certain length will be less likely to have a problem with ingrown hair. Those of us that love the feel and look of a clean shave have a few options: resist a close shave by leaving a shadow/stubble, shaving in the direction the hair is growing with as least strokes as possible to prevent the hairs from slipping back into the skin and to prevent irritation. Using a lubricating gel to shave will help keep the skin moisturize (foam creams sometimes have a drying effect on the skin). Electric razors can also help since they do not give as close as a shave as razors (or try using a single blade razor, since multiple blades can cause more irritation to the skin). 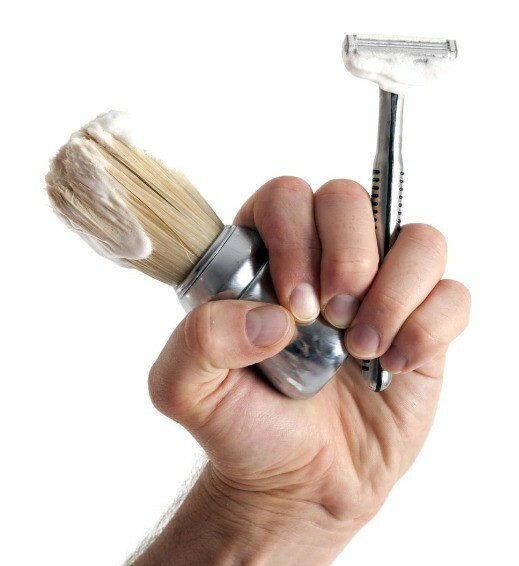 Remember, bumpy skin lessens confidence, so only shave as close as you need to and no closer. Tweezers can be a useful tool in removing the tip of a hair that is piercing back into the skin. This process is time-consuming and should be done carefully as to not cause a break in the skin or (if you can) try not to remove the hair completely. Removing the hair completely could result in the hair follicle growing deeper than before, making it more of a nuisance to remove later on. Using a small magnifying mirror under good lighting will help in the process. Sterilizing the tweezer with rubbing alcohol is recommended to prevent infections. Shaving can be a blessing by giving a youthful appearance because it removes an upper layer of dead skin giving way to a fresher look. The negative to shaving are irritation and ingrown hairs. The simple method: applying cold water after shaving to help with the burning sensation (usually occurs after a clean shave) and help cool the skin. Using an over the counter cleansing cream with essential oils such as chamomile or peppermint will have a greater effect on healing the skin. Burt’s Bees Soap Bark and Chamomile, for example, can help nourish the skin with essential oils – the ingredients include chamomile, witch hazel, aloe, lemon peel oil, and cocoa seed butter which is all beneficial to the skin. The cost will range from $4.99 -$7.99 depending on where you place your order. If you like to be creative, creating an in-home treatment can be a cheaper way to cool the skin with products you already may have at home. Brewing an anti-inflammatory tea such as chamomile, green, or peppermint with 2 tsp of honey can be used as well. Making this beforehand kept in a glass container in the refrigerator will make it easier to use (use within a 3-4 days before the tea goes bad). Peppermint is perfect for warmer-weather months with its cooling sensation. Right now I have a mixture of spearmint & honey (ran out of peppermint) which I use to splash my face at least twice a day regardless if I’m shaving or not. Each tea has its own benefits – you can experiment to see which ones work best for your skin (or it may be a tea you already drink at home). Try using organic loose tea if possible then you can mix and match different teas to create the healing properties you want. Also, try using local honey from the Farmer’s Market, it will not only provide you with clean local honey, but you’ll be supporting local farming as well. Moisturizing is the most important regiment one can do for the skin. Shaving can not only cause ingrown hairs, it strips the skin of moisture in the process. Moisturizers with royal jelly are highly recommended. Royal jelly helps with skin renewal. Avocado is also a good source of fatty acids and contains humectants (chemicals that attract and hold water, forming a barrier to hold the moisture in). The next time you’re making an avocado sandwich save yourself a slice & generously apply to your face. Speaking of avocado, one of the most effective ways to improve your skin is to improve your diet. Skin is often the first place that one sees the positive visual impact of a healthy lifestyle. There are no quick fixes to ingrown hairs (and skin irritation) but simple measures can help eliminate or reduce the damage caused by shaving. If the problem persists or the hair cannot be removed, try not to cause a break in the skin – consult a dermatologist. Many men are fiercely protective of their coffee-drinking habit. If you absolutely cannot imagine your life without something – that isn’t within Maslow’s Hierarchy Of Needs – it might be a clue to a possible addictive behavior, and that includes coffee. Fortunately, a man doesn’t have to be either a tea-drinker or a coffee-drinker. He can be both. If you were to replace one of your daily cups of coffee with a cup of tea, what kind of health benefits might occur in the long term? Science reveals that green tea can be a healing elixir that promotes longevity. Among the healthiest and longest-living humans on the planet, the Okinawans in Japan drink jasmine green tea throughout the day. 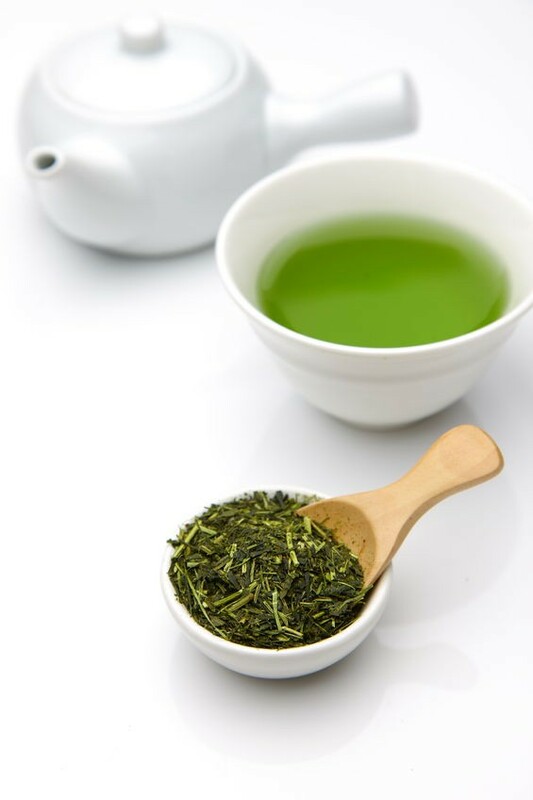 Reportedly loaded with tumor-reducing properties (see sources below this article) and polyphenols, green tea is a cherished daily ritual for millions of people around the planet. But is green tea for everyone? What are the Benefits of Green Tea? My medical doctor advised me to keep drinking green tea each day, but to limit it to one cup in the morning, and to add Nettle Tea to my daily tea-drinking as well. My doctor explained that too much green tea in men after age 40 can sometimes activate the aromatase enzyme in fat cells that converts the body’s naturally produced testosterone into estrogen, while nettle – on the other hand – can provide a unique mechanism for increasing levels of free testosterone. So I still drink green tea each day to obtain its health benefits, but I don’t go overboard, and I also have Nettle tea daily. Sometimes estrogen levels get too high in men over the age of 50. After my own experience with the healing properties of herbs and teas, I became intrigued by what else green tea can accomplish for the human body – now I encourage others to explore the possibilities of how green tea can enliven and nourish both the inside and outside. More recently, the first thing I drink in the morning when I wake up (after using a tongue-scraper and gargling) is a tall glass of water. After that, I have a cup of a customized tea brew I make from ginger and nettle leaf teas. I like the taste that nettle adds to my brew – slight flavor under-notes of tobacco and hay which I find appealing. As a once-in-awhile treat, I will also sometimes have yerba mate (a type of rainforest green tea wildly popular in South America) and black tea (to honor my British heritage). Green Tea has many benefits. It’s high in epigallocatechin gallate (EGCG) which is a powerful antioxidant. Studies have shown that this antioxidant can act as a fighter against cancer and for improving the ratio of LDL cholesterol to HDL cholesterol while reducing the formation of blood clots. In a serving size of 8 ounces, green tea contains approximately 32 mg of caffeine (sometimes less, but rarely over 40 mg). A cup of coffee can have up to 200 mg! Many people find that the caffeine in green tea provides just the right amount of “lift” and mood-enhancement, without any of the crash-and-burn sometimes associated with coffee-drinking. If you’re accustomed to drinking coffee daily, your body might be addicted and you could experience a headache if you skipped a day. Green tea is less likely to inspire this addictive response. 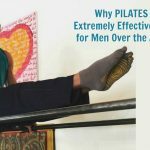 The feet are the most-used body part, especially for those that are active. People living in large cities (for example, where public transportation is used to get from point A to B) are often required to do a lot of walking and standing. The feet can become stressed easily and can be overlooked when it comes to providing comfort. Sometimes kicking-back with our feet up watching TV is not enough. Too busy to read the rest of this article now? Pin it for later. When time permits, I’ll indulge in two green tea foot baths a week while watching television. What started off as green tea-only foot bath have now grown with the addition of essential oils. There are various ways in which you can create a foot bath, some have used sea salt in the mix. Sea salt helps soften the skin. A green tea foot bath can help soothe the skin. Brew green tea for 15 to 20 minutes (1 teaspoon to each cup) in hot water, you can boil water in a pot and let the tea steep for easier use. Add 2-4 drops of essential oil into the spa foot bath and mix in the green tea. Once cool enough, soak feet in water for 15 to 20 minutes. Remove feet, rinse in warm water, dry, and moisturize. As an option, socks can be used to hold the moisture while relaxing (make sure feet are completely dry). Another tip is the use of tea tree or peppermint oil or both. Tea tree is known for its anti-fungal benefits while peppermint can be used for aching feet. As an added bonus a callus-remover could be used to remove dead skin from below the feet before using a moisturizer. Once the feet are soaked, you’ll notice the amount of dead skin that has accumulated using a callus remover will help remove the softened dead skin. Now sit back with a cup of green tea and feel the benefits both internally and externally. By the way, you can buy loose tea from a local tea shop that specializes in teas (brew loose tea using a “tea-sac”), this will give you more bang for your buck compared to buying store brands. The tea is often dried naturally and free from chemicals. 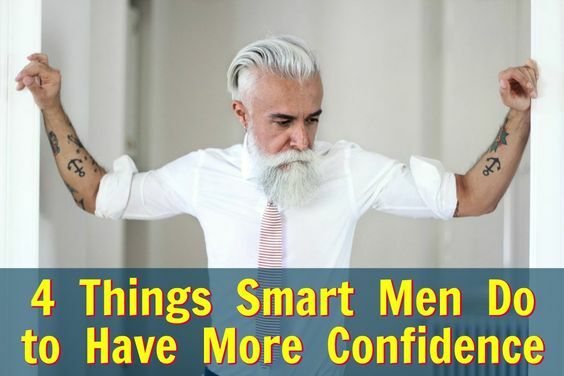 As a man becomes healthier, he also gains confidence. I encourage you to ask your medical doctor, naturopath, or nutritionist if a daily cup of green tea might be right for you. Good bearing and carriage indicate positive self-worth. What would happen if you were to become more fit than you are right now? Would the impact be positive, or negative? Would more muscle help you present as a stronger person, or weaker? Of course, you might be too busy working to make it to the gym each day. Thanks to the newest technology, it’s now possible to get extremely fit without leaving your home. With the emerging trend of the exergame – computer programs that make a game out of exercise – you can improve your physical fitness (while having fun …and without having to go to a crowded gym). Use exergames to build confidence. It doesn’t have to be a game, strictly speaking. 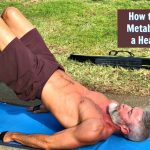 You can get a fantastic workout DVD (my personal favorites include kettlebell, yoga, and pilates mat workouts), or you can use one of the many excellent, exercise digital-streaming services available (such as Daily Burn). However, if you already own a game counsel, you might as well try playing a fitness game, too. Human brains have evolved over millennia to respond to certain visual cues in others. This is not about politics, it’s about biology. Humans tend to respond well to men who appear strong, capable, fresh-faced and energetic. When you exude these qualities of confidence visually, it then inspires others to believe that you can be relied upon. 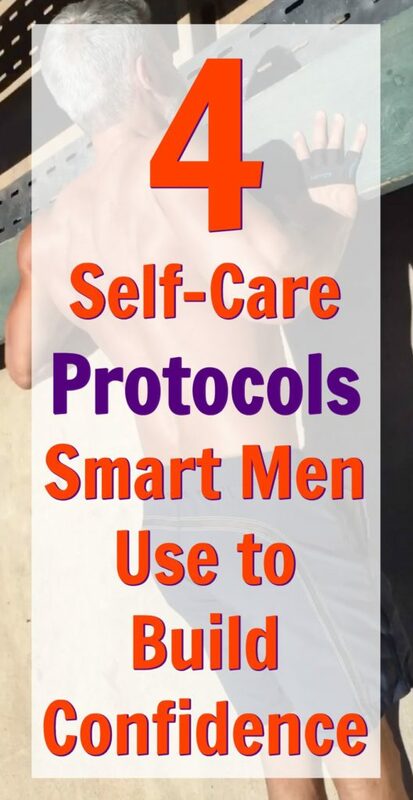 Of course, many men – as much as they want to appear flexible and fit – are too busy to make it to the gym each day. This is when exergames can be very convenient. What follows are some helpful reviews of the best fitness computer games available on the market currently. Any room in your home can be made into a gym, instantly. A patio, a living room, a bedroom – all you need is enough room to move, a video game console, and an exergame title that you enjoy. Three of the currently popular video game consoles are Wii, Kinect (Xbox), and PlayStation Move. Back in 2007, Wii Fit was the breakout hit in the exergaming market – creating an entire craze and challenging the stereotype of the couch-potato video gamer who sits for 7-hour stretches, chomping on Flamin’ Hot Fritos Corn Chips and gulping Mountain Dew by the gallon. Since then, the introduction of Kinect (Xbox 360) and Move (PlayStation 3) have opened the arena for exergames. Kinect, on the other hand, works with no controllers because you are the controller. Today, there are many exergame titles to choose from (for each of the gaming console brands) that will help you to get into shape – not only by providing exercise directly through a set routine but also by providing a way to keep the body moving through motion gaming. Exergames can be very effective, if one is motivated enough to be consistent, and have a goal in mind. But my question is, are we looking at exergames in the right mindset? For example, Julie Maloney of Momspective found great success using Wii Fit to shed 100 pounds back in 2008, and since then has stayed active living a healthy lifestyle. For each great success, there are also a few who give up after a few weeks. Usually, those who give up started without a fitness fat-loss plan. It’s helpful to have an end-goal in mind, while at the same time keeping expectations realistic. In my opinion, fitness computer games should be looked at as a companion to regular exercise — another tool in the fitness toolbox. In particular, exergaming is great for those days when we cannot do our normal routine, as a way to keep the body moving during bad weather, or as a way to add to a bit of variety and to keep from getting bored. Obviously, you want to consult your own doctor before beginning any new exercise program, but speaking personally, I can vouch for the fitness games on the Wii & Xbox 360: they do provide a decent workout, leaving you sweating as if you were working out at a gym (of course, ultimately, it all depends on how hard you push yourself). With PlayStation Move, most of my time spent was with games not intended primarily as a fitness exercise, but they still provide a way to keep the body moving while having fun. Motion games are a sub-genre of the fitness computer game titles. They provide a fun way of keeping the body moving, with most of the fun and exercise provided with dance games like Black Eyed Peas Experience and Just Dance. What’s great about this is the engagement with others (who might normally forgo a workout), leaving the players wanting more because of the competition! The motion games do require additional hardware if you do not already own them (except for the Wii which comes with motion games right out the box, and the games are enhanced using the Wii Fit Balance Board). The downside to these games is the requirement for real estate. While many games can function with 7 feet of free space for basic exercises such as pushups and sit-ups, some of the games require 10 feet of free space, otherwise, some of those side-to-side movements and jumps might be tricky to pull off. Motion games have been around on major consoles for the past 5 years with the potential to be a great way to keep us moving, especially on days requiring a lite workout or days we cannot find the time for a full-blown workout. Dance Central 3 for Xbox is generally believed to be one of the most fun motion games, while Nike Kinect for Xbox is one of the best-reviewed fitness computer games available on the market right now. Wii Fit Plus is not only highly-rated in review lists, it is also among the most popular exergames, but my personal favorite out of all of the exergames is Kinect Adventures for Xbox. If you were to become stronger and more flexible one year from now, would that increase your confidence or lessen it? It seems as though the craze of releasing games in abundance for consoles might subside a bit in 2019. For the current consoles, it appears that Microsoft and Nintendo are trying to remain relevant in fitness gaming. On the bright side, recent and huge advances in virtual reality (apparently, Oculus Rift – owned by Facebook – is going to be offering some amazing services down the road) look promising, and international conferences in Switzerland specifically explore advances in adaptive exergames for health. Meanwhile, Nintendo has released Wii Fit U – which has more customization and workouts. The positive to upgrading to Wii Fit U is it uses the same equipment as Wii Fit for the Wii. If you own the previous version all you need is the software. Nintendo is currently offering titles for personalized fitness (“My Fitness Coach”), Zumba, Pilates, Cardio, Dancing, and ones for children as well. Microsoft does have Xbox Fitness for the Xbox One featuring workouts by Tracey Anderson, Jillian Michaels, Tony Horton, and Shaun T. Xbox Two is coming soon. Until Xbox Two arrives, the current favorites for Xbox Kinect workout games are EA Sports Active 2 and Biggest Loser Ultimate Workout. By way of fitness through video games, there’s always the Just Dance series which does have a workout mood for people looking to lose weight through dancing. There is a new version. 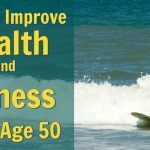 Exercise is, and always will be, one of the most important aspects of the longevity lifestyle. If you want to live a long time, become increasingly healthy, and live free of disease, then you have to move your body regularly. I’ve recently dusted off Wii Fit using it as a supplement to my regular routine; the most fun comes from the hula hoop with the balance board for a midsection workout. Overall, exergames and motion games offer an unquestionable advantage in improving your health, because they give you more exercise options, and help to keep your workouts interesting and fun. I first became intrigued by essential oils back when I discovered peppermint oil in place of gum. I dislike chewing gum – especially the kind with artificial sweeteners – but even though gum-chewing is considered by some to be an unattractive habit, it’s a great way to clean your teeth and freshen your breath quickly – especially when you’re in your car driving from one appointment to another. My naturopath had suggested that instead of chewing gum, I mix some peppermint oil with olive oil and avocado oil and put the mixture into a little spray bottle. I was stunned to discover that this is the most refreshing and effective way to freshen my mouth quickly. It tastes great, and it has a zing that makes me feel alert and puts me in a brighter mood. Among my favorite oils are scents from my favorite foods – lime, cardamom, mint, and vanilla. I’m also partial to frankincense, vetiver, angelic flower and – as an undernote – patchouli. Essential oils are best known for their roles in aromatherapy, their scent can leave one’s mind in a more relaxed state – or in some cases, they are used to invigorate one’s senses. 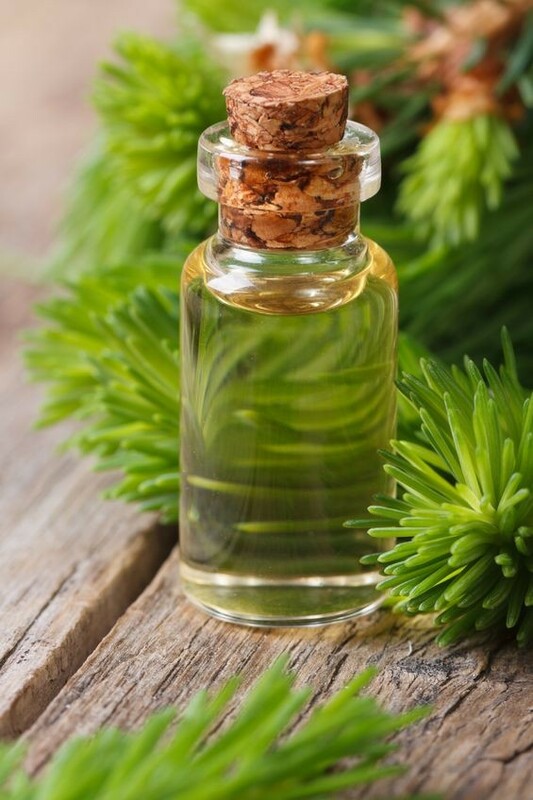 Essential oils are used in everyday products: lotions, shampoo, facial scrubs, and cleaning products; the oil is used as an aromatic or for its chemical properties. Burt’s Bees and Garnier are two of the top brands to use essential oils as an ingredient; Garnier uses it as a selling point in their commercials for their shampoos, for example. Essential oils have been dated back to Egyptian times for medical and cosmetic purposes; some have labeled them the original aromatherapist. French scientist Rene Gattefosse accidentally discovered the healing benefits of lavender oil when he burnt his hand by accident. The uses for essential oils have increased since then. The chemical properties of essential oils differ. Menthol is present in peppermint oil which is used to relieve pain in aching muscles, while grapefruit oil mixed with a carrier oil (coconut, olive, or sesame oil) provides powerful antioxidants to the skin helping it retain its youthful appearance. “Synergy blends” can be created to enhance one’s mood — a grapefruit/peppermint combination, in the form of an aromatherapy mist, can revitalize one’s day or help with depression, for example. Here are some four more uses for essential oils that, in particular, I have found can help me to have a better day. Essential oils can be used as a replacement for air fresheners: peppermint, eucalyptus, and lavender oil can be mixed with purified water to create a spritz. Eucalyptus oil is an antiseptic and deodorant by nature; it eliminates odor in the air while the peppermint leaves a refreshing feeling, lavender for its relaxing properties (peppermint and lavender mixed together can also be used as a natural bug repellent). In shampoo and body wash, adding a few drops of peppermint oil leaves me feeling refreshed from head to toe, the most notable benefit is a calming feeling – perfect for the end of a stressful day. Essential oils are an effective mood enhancer. Similar to using oil as Febreze substitute, I’ll keep several bottles around the house with different oil mixtures. There’s even one in my gym bag; peppermint/grapefruit/vanilla which I use before and after a workout to keep refreshed and motivated. Essential oils are great for skin care. Lavender oil is best used to help heal cuts and bruises, while tea tree oil (antifungal) can be used to treat athlete’s foot. After a day or two of a lavender/tea tree foot bath, you’ll notice the difference. Vanilla oil, which is a good aphrodisiac, can be mixed with coconut oil (carrier oil) for massages. I’ve only scratched the surface with the essential oils available on the market, leaving many combinations to experiment. Each person has their own unique sense of smell, so the possibilities are almost endless. Eucalyptus oil, for example, can be used for muscle pain and skin care, but the scent can be overpowering for my taste. Personally, I tend to favor floral and citrus oils, and I usually use coconut oil as my preferred “carrier oil.” Carrier oil is the oil you mix/dilute with the stronger oil to help make it more palatable and deliverable. What is your favorite essential oil? In what ways might using essential oils boost your own confidence? The first thing other people notice about you is your face. With that in mind, it’s possible that having great skin will impact others’ opinion of you – including how they perceive your confidence – significantly. Healthy men appear brighter to others and seem to exude more confidence. What can you do to develop your own inner-strength so that you project yourself as highly skilled and dependable to others?